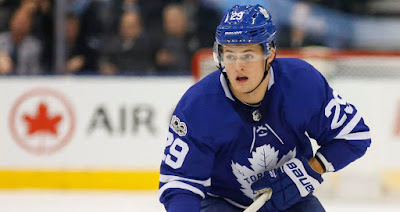 General manager of the Toronto Maple Leafs Kyle Dubas told the Toronto star on Friday that William Nylander will not be traded. Nylander was third in scoring for the Maple Leafs last season. Finishing with 61 points (20 goals, 41 assists) in 82 games. Ahead of him were Auston Matthews with 63 points (34 goals, 29 assists) in 62 games, and Mitch Marner with 69 points (22 goals, 47 assists) in 82 games. With John Tavares signing a $77 million contract in the offseason the big question was, and still is: will the Maple Leafs be able to sign Nylander, Marner and Matthews. Matthews and Marner can become restricted free agents at the end of the season, but both were eligible to sign a contract extension as of July 1. “Those discussions with their representatives are ongoing,” Dubas said. “I know everybody would like everything to happen quickly, but there’s a process we go through. Would we like to have had it all sorted out and done on the first day? Yes, but I don’t think that’s realistic. Kyle Dubas has made it very clear that his goal is to sign Nylander to a long term contract.